Release Date:08/17/2010;Notes:(2-LP set) in the early 70's a band named Catalyst was formed in the heart of Philadelphia. The core of the group was Odean Pope, Sherman Ferguson, Eddie Green and Al Johnson (who was replaced by Tyrone Brown after their first album). 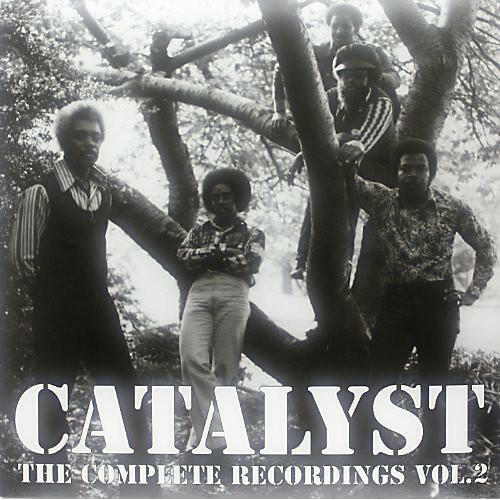 The band drew from a wide range of musical styles jazz, funk, R & B, avant garde and fusion all found their way into the creative sonic tapestry of Catalyst. With the given talents of Catalyst they could have and should have been bigger but sadly they found themselves with little promotion or recognition outside the proximity of Philadelphia. Thankfully Catalyst were able to leave behind four extraordinary recordings that will appeal to both jazz heads and those in the hip hop community.